This already look waaaaay better than the bare aluminum enclosure, and good news: it only take a few minutes to do! Just grab some sandpaper (I recommend to use different grit, 150 for the beginning and 400 for final polishing), and start polishing your enclosure under running water. Finally, apply a varnish layer to protect it! Beware: I noticed that the maximum quality of the polishing that you can get highly depends on the quality of the aluminum used. For instance, a "mirror" finish can be really difficult to achieve with low grade aluminum. I would not recommend spray painting guitar pedals enclosures. Read my post about it for more detail. If you still want to go this way, apply really thin layers, at least three times. Wait between each spray for the paint to be dry enough. Finally apply a layer a varnish. For your health, please do it outside and wearing a mask! Toxic: wear a mask and do it outside! 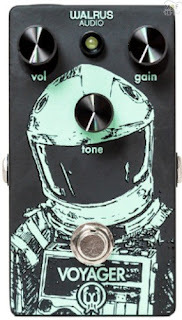 This is a special kind of spray painting that will give an amazing vintage feel to your pedals. You can create really beautiful textures with this kind of paint and it also does not wear off as easily as spray paint. Here is a very good step by step tutorial about how to use it. Powder coat is the kind of paint used on cars, and the one used on most guitar pedals as well. It looks very professional and there is a wide variety of colors available. You can either buy pre-painted enclosures, or make it yourself. Making it yourself would require some space and equipment, but it is not that hard. Aluminum etching is an easy way to have a custom design without spending too much time and money. It requires a bit of practice though. You can find a nice tutorial here. It is not an easy technique to master (requires a bit of practice before managing to have a precise etch), but it can give really good results. Moreover, you get a fully custom design with anything you want on it. It is very similar to the technique above, except that the etching is reversed, so the non-engraved parts sticks out of the paint that you can apply afterwards. Cody of "They Remained Silent" is an absolute expert with this technique and has written up a really good tutorial about it. LIke etching, it can be a bit long before your perfectly master this technique, but it really worth it. Decals are a good way to have a fully personalized design. Here is a good tutorial about it. Another nice one here on the Big Muff page. 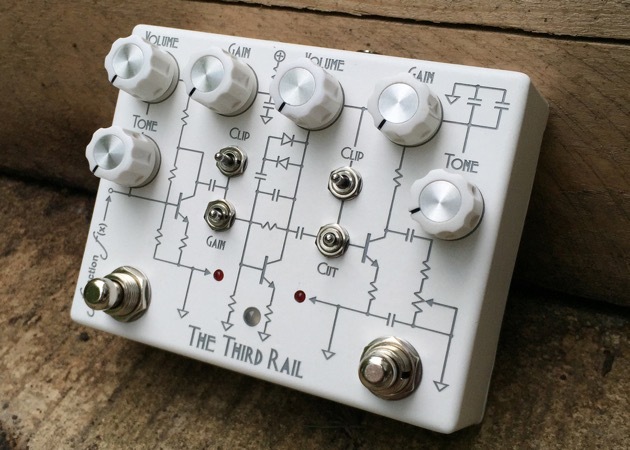 If you are good with Photoshop or Illustrator, you can make your own design on your computer and use it for your guitar pedals. Print it on a decal paper, then apply it on your guitar pedals. 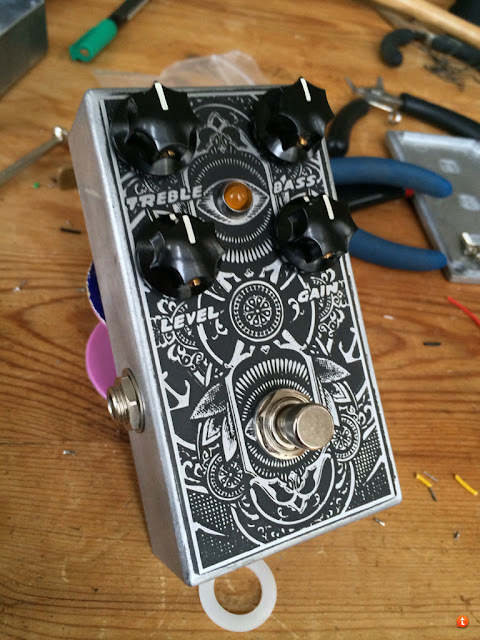 You can use prepainting guitar pedals as well. Some folks use a laser etching maching to remove the paint and engraved their design. More and more common on commercial effects these days. All the Greer amps pedals are made this way for instance. In France, Anasounds makes its pedals with a similar process, on wooden plates, they look great! 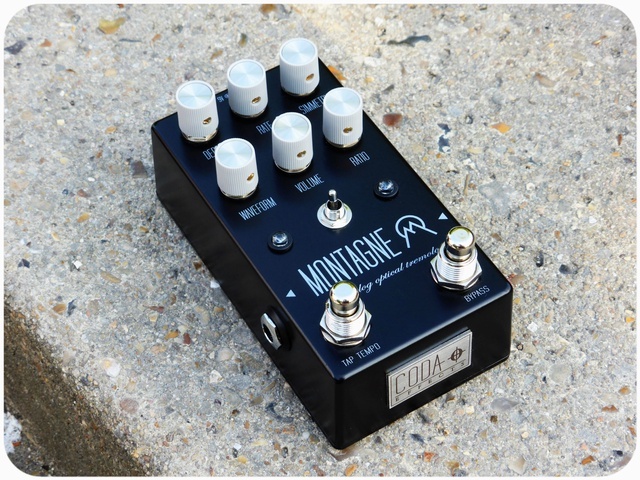 This is a nice way to avoid painting the enclosure, or having to use expensive techniques like UV printing, and still have very professional looking guitar pedals. 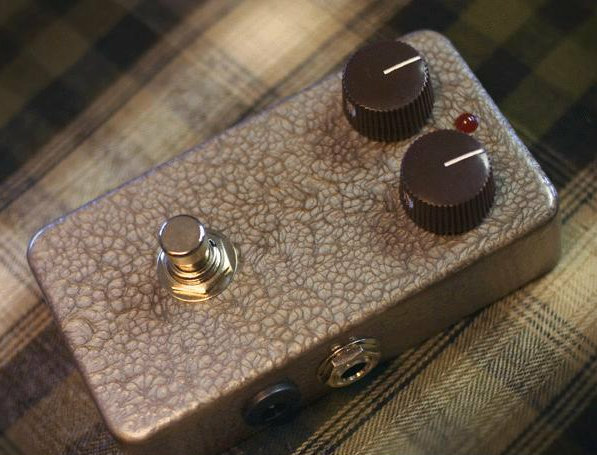 You can combine it with powder coating to get even more pro looking DIY pedals. 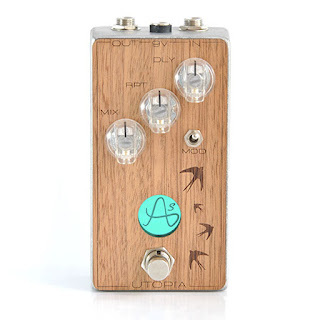 Like with laser engraved pedals, finding the right supplier can be difficult or expensive. However, it is generally easier than laser cutting the whole enclosure. Making this mesh is quite a complicated process involving projecting UV light on a light sensitive plate, but fortunately, you can order these meshes to specific suppliers. Applying the paint is quite a messy process, which requires both space and practice. Once the technique mastered, you can make lots of pedals very quickly. The graphics will be very precisely printed on the pedal, and will last for a very long time. It looks really professional. However, the only problem with silkscreening is that you can only print one color at a time. You have to make one mesh per color and it can become quite time consuming if you want to use more than 3 colors... So adapt your graphics! Good news is: you can apply this technique to many other usages like making t-shirts or posters for your next gig. UV printing machine are highly expensive, however it is possible possible to lease it. That is what is done by many professional like Kelley Electronics. A solution easily accessible to hobbyist is to use Pedal Parts Plus services. They can UV printing pedals for a reasonable price. However they are based in the US so you can unfortunately expect some shipping delays and customs issues... Anyway the people there are great and really helpful so I highly recommend it. There you go! I hope that you liked this post! 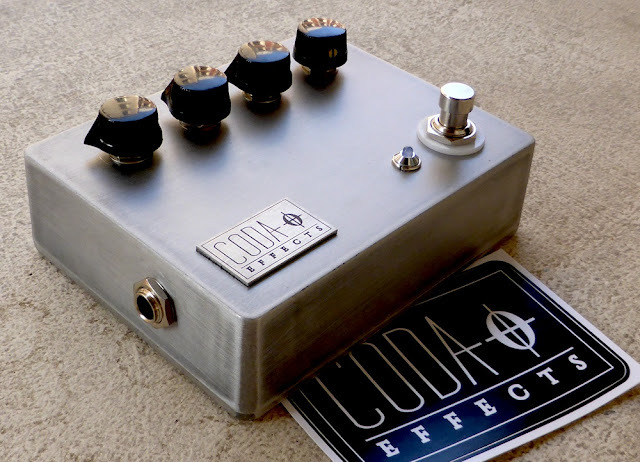 Show me your best guitar pedal and let's share our ideas on the Coda Effects Facebook page. 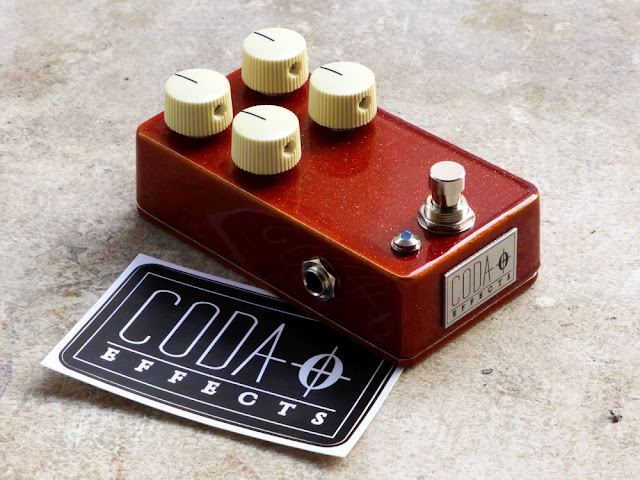 You can also follow Coda Effects on Instagram. En plus l'article résume bien l'ensemble des finitions possibles ! Hi! Great article! 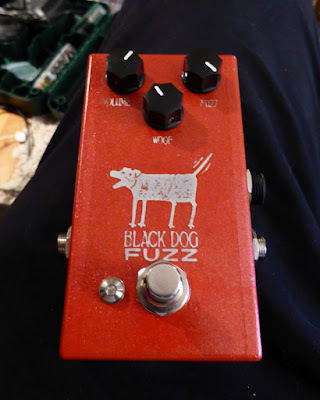 I'm currently painting a pedal with the spray painting method, but the next one i wanted it to be like your muff. I really like it. But i'm a bit confused on what i have to do after the sanding. Is the varnish layer the same clear coat of the spray painting method? I asked in some shops and they said that there is no coat that will stay on raw alluminium without a primer. I found out today that the die cast aluminum enclosures are extremely challenging to anodize (Type II), but a Chromate conversion coating is quite easy if you have access to the solution, and produces some very cool finishes. Just dip it in, and pull it out when you think it looks cool. I will have a look, I am not familiar with anodizing enclosures! I started using equipment I got from these guys - https://www.eastwood.com/hotcoat-powder-coating.html Assuming you already have an air compressor you can get everything you need for $200 - $300 dollars. 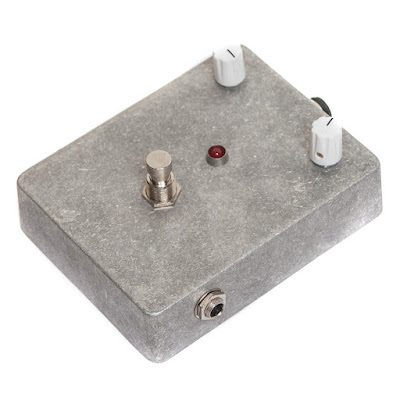 You'd be limited to doing say 4 - 8 pedals at a time because of the size of the oven but that's more than enough for any of us unless our little side project building guitar pedals has really taken off. One other option is CNC routing.